Registration is now open for my spring teaching schedule beginning April 2 at ccae.org and April 10 at www.danforth.org. 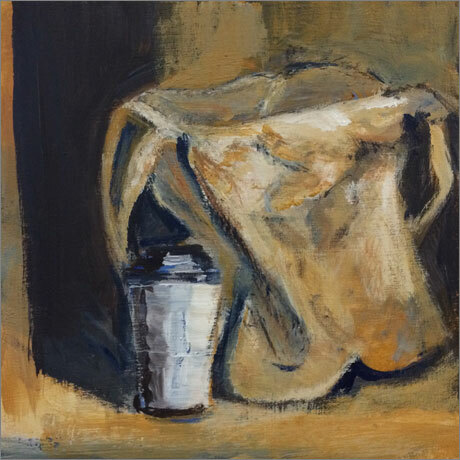 This post contains examples of student art from three classes I teach in painting and drawing. Below are descriptions of each class and the schools where the classes are offered. From Copies to Life at the Cambridge Center Studio School. 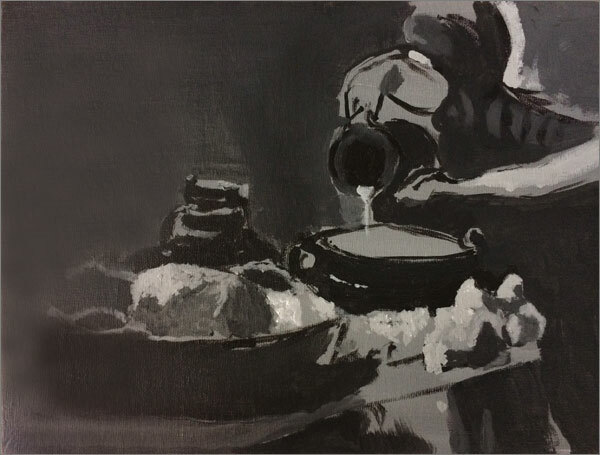 This class alternates between copying masterpiece paintings from reproductions and then painting from real still-life setups inspired by them (photo above). European and American masterpiece paintings from the 17th-2oth centuries provide a basis to learn how to construct relationships of color, shape, drawing, and composition. Artists from history are presented chronologically to show evolving representations of pictorial space. 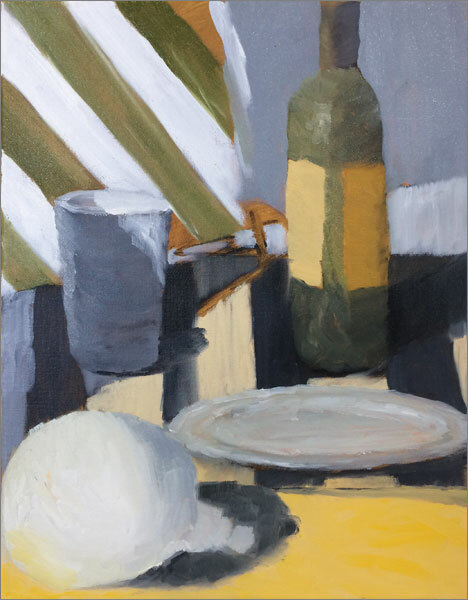 Instruction emphasizes painting fundamentals and use of limited color palettes. Nine sessions, 1:30–4:30pm, April 2–June 11, 2018. 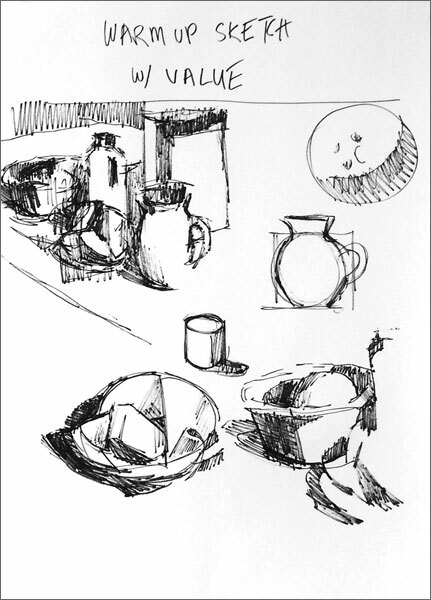 The Cambridge Center Studio School in Harvard Square was established in 1994 to provide an integrated studio program of observational painting and drawing. 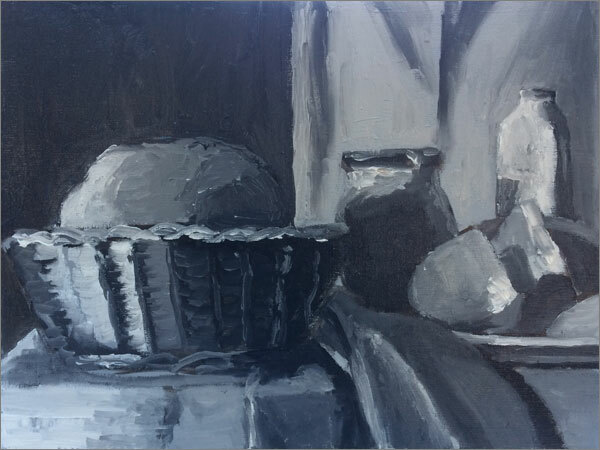 Coordinated intensive courses focus on developing skills and concepts central to drawing and painting from life. Students learn to analyze, interpret, and respond visually using a wide spectrum of materials. Foundations of Drawing at Danforth Museum School. 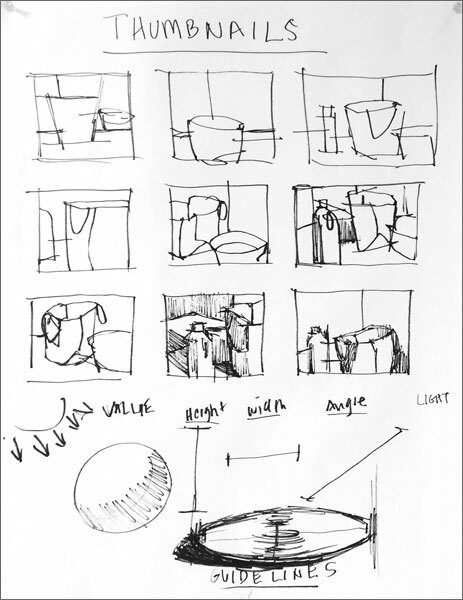 Essential drawing strategies are presented as students learn to sharpen their observational skills. 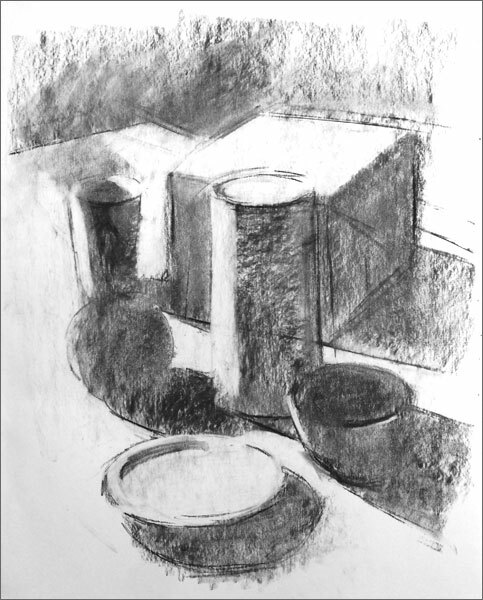 Analytic and synthetic aspects of drawing are explored in line, mass, value, texture, and composition. Six sessions, 9:00am-12pm, April 10–May 15, 2018. 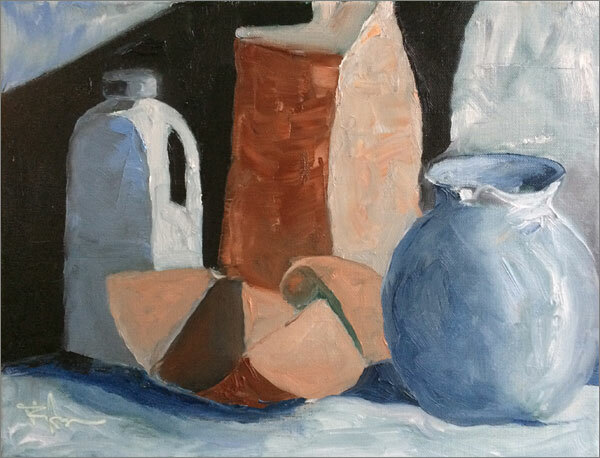 Intermediate Oil and Acrylic Painting at Danforth Museum School. 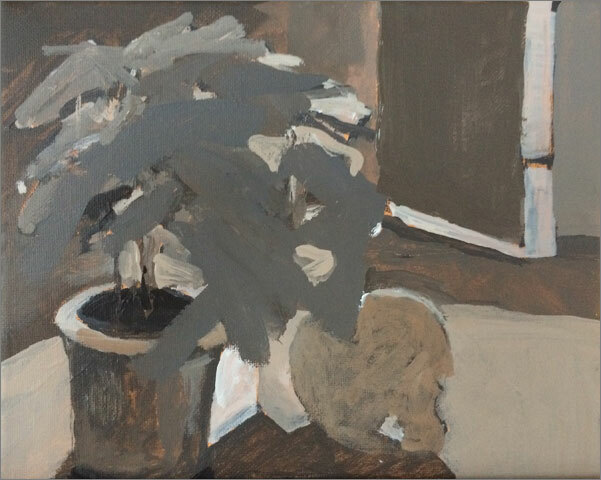 Working from still-life set-ups, we use limited palettes and thumbnail drawings to improve control and refine the way we see in paint. 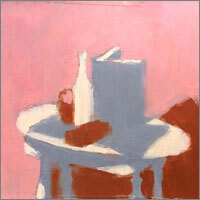 One-on-one critiques address composition, paint handling, and individual temperament. Bring materials and tools normally used and a recent painting to first class. Six sessions, 12:30-3:30pm, April 10–May 15, 2018. The Danforth Museum School is temporarily located on 23 Salem End Rd in Framingham, MA while the Vernon Street building is being renovated. Please visit the Danforth Art Museum website for more information about the Framingham State University partnership and its impact on the museum and art school at News/Updates. 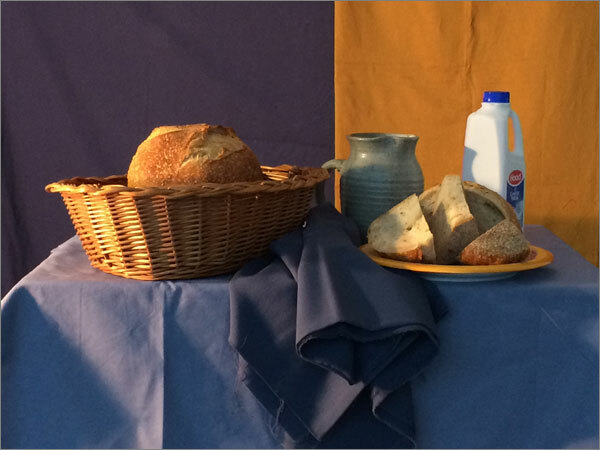 ABOVE: LA photo, Still-life after Vermeer’s Milkmaid, CCAE From Copies to Life, 2018. 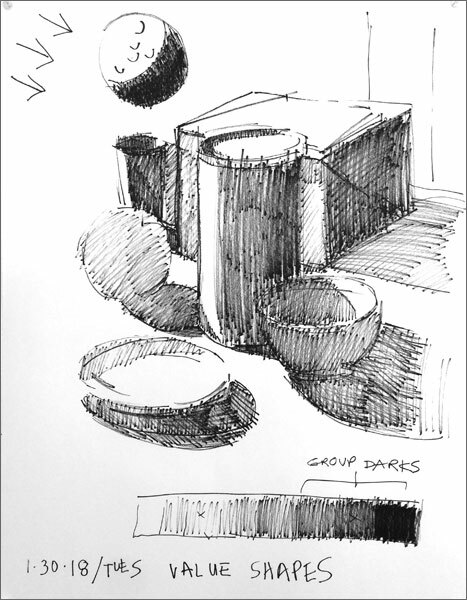 LA drawing instruction, sharpie (left) & vine charcoal (right), Danforth Drawing Foundations, 2018. LA drawing instruction, sharpie, Danforth Drawing Foundations, 2018. 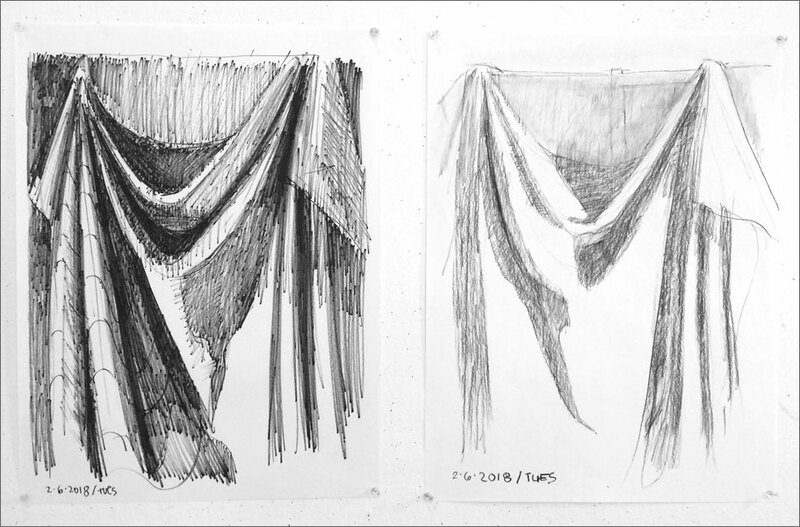 LA drawing instruction, vine charcoal, Danforth Drawing Foundations, 2018.